In this article I am writing about couple of new features of Visual Studio 2010. The features are usefull to dvelopers yet many of the developers are not aware of such feature inclusion. This is my attempt to introduce couple of features that are useful to the developer in their day to day coding activity. 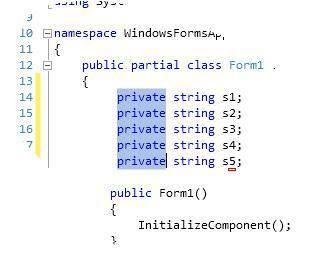 with the VS 2010 may not be equally useful to each one of us. to be declared as public instead of private. or right click on the method name and select "View Call Hierarchy". 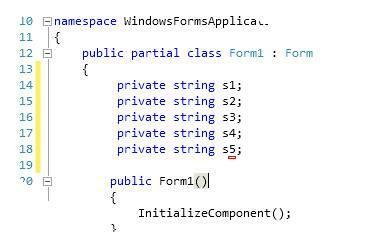 It will show you a Call hierarchy window as below. the Ctrl and rolling the mouse roller. often than not we end up increasing font size of the code editor during demo session. generate the stubs for a method that you type in your code. that do not have a method by name MyMethod . an option to generate the method stubs as below. less distraction while you are coding. you have ability to generate the stubs for class itself. struct) in addition to method stub. Very much informative and useful.